Dave Holland has represented sellers, purchasers, developers and lenders in a wide variety of real estate legal matters for over 35 years. He provides closing services on residential and commercial transactions for sellers, buyers and lenders in Erie and the northwest Pennsylvania area including Meadville, Warren and Franklin. He concentrates his practice on real estate closings, development work and tax sale litigation, but has extensive experience in commercial and residential leases, installment sales contracts (land contracts), options, condemnations, mortgages and easements. 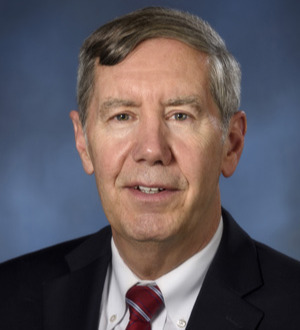 He has litigated numerous cases involving upset tax sales and judicial tax sales throughout western and central Pennsylvania including Erie, Crawford, Warren, Lawrence, Mercer, Beaver, Westmoreland, Fayette and Washington counties. This area of practice has involved frequent appearances in the appellate courts of the Commonwealth of Pennsylvania as well as trial court proceedings. Mr. Holland is an agent for First American Title Insurance Company and an approved attorney for Penn Attorneys Title Insurance Company. He has been counsel to the Greater Erie Board of Realtors for over 30 years. He is Co-Chair of MacDonald Illig's Real Estate Practice Group.